CHOOSE how your money is put to work by finding the best overall PAMM Account and only pay your advisor when you turn a profit. CHOOSE when to invest, when to withdraw, and when to diversify. Its YOUR money stop letting others decide how to manage it. EMPOWER your capital by leaving the trading to the experts. Do your research and invest in a winning PAMM account so you can focus on life and leave the trading to the traders. YOUR account, YOUR money, YOUR choice. Feel EMPOWERED to invest better and smarter with FXPIG™ Managed Forex Accounts. We created this list to honor PAMM Accounts that have traded on our pricing feeds, profitably, for over two years, a true test of grit in the retail forex industry. It's not easy to make it to this level, but we are confident this list will grow as we continue to search for candidates that have what it takes to become one of THE GREATS. Unfortunately the D.O.O.R. (Daily Optimized Open Range) has been closed to new funds for over two years, however we still have to give this system it's due. It's BACK... After testing countless liquidity aggregations and configurations over the last nearly two years we can FINALLY re-open the DOOR. Keep in mind this offer may close at any time once we reach any unforeseen liquidity caps. The D.O.O.R. has traded profitably with us since 2012, making it the Longest Traded Forex PAMM Account in HISTORY at FXPIG™. 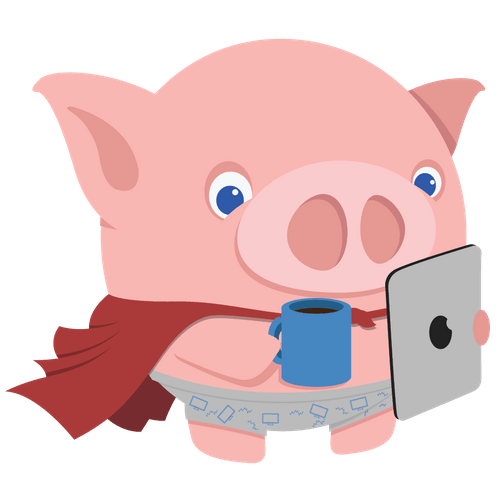 In order to be listed here these PAMM Accounts must have traded with FXPIG™, profitably, for a minimum of three (3) months, and they also must have proven to maintain a minimum level of risk management. Keep in mind that all the PAMM strategies and systems listed below are managed by third parties and FXPIG™ does not recommend or guarantee their performance in any way. WAIT... What Is a MANAGED FOREX ACCOUNT? PIGs are SMART, get over it. MAM refers to a piece of Software that Allows Managers to Trade on multiple individual client accounts. So, in conclusion; a MAM is not a PAMM, a PAMM is not always a MAM, and while a LAMM can be a MAM, it is NEVER a PAMM. Did we mention that us PIGs are avid Dr. Seuss fans? Please make a note for future reference. And if you still need some help with your Forex Acronyms, we are here to help. SO WHERE CAN I READ A BIT MORE ABOUT FXPIG?I AM SOLD. I AM READY TO OPEN A MANAGED FOREX ACCOUNT NOW!